The University of Southampton has announced a partnership with IBM to offer students and staff cognitive computing education with unprecedented access to IBM's Watson technology and experts. Watson represents a new era of computing based on its ability to interact in natural language, process vast amounts of disparate forms of big data, and learn from each interaction. The collaborations between IBM, Southampton and Imperial College London aim to help nurture the next generation of innovators needed; and are the first initiatives of this type in the UK. Southampton will collaborate with IBM Watson on exciting ground-breaking interdisciplinary PhD research projects across a wide range of sectors from marine and maritime to computer science, computational chemistry and ground-breaking medical research. Southampton students will also engage with Watson through a new Cognitive Computing module as part of its Curriculum Innovation programme, which will initially be available to over 150 undergraduate and Master’s students across all disciplines. 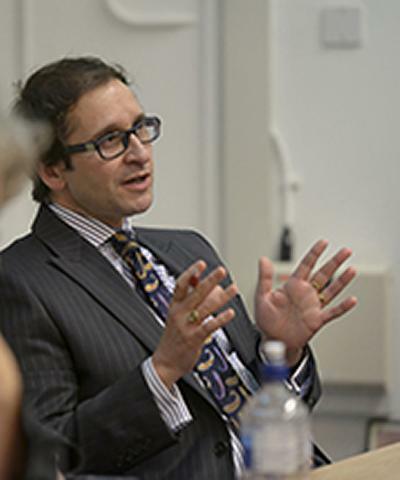 “As a University which prides itself on being at the forefront of cutting edge technological and educational developments, the introduction of Watson into our curricular and extra-curricular activities is a natural step as we seek to transform the experience and resources available to our students and staff,” said Dr Russell Bentley, Assistant Pro-Vice-Chancellor (Education). “In particular, Watson will be a tremendous asset to participants on our innovative Curriculum Innovation programme, which encourages students from across disciplines and subject to come together to develop new skills. “The possibilities are endless thanks to IBM and Watson and we’re grateful for the opportunity to work in partnership with IBM to push back the boundaries of global education for now and for the future,” Dr Bentley concluded. Rashik Parmar, Partnership Executive, IBM UK and Ireland said: “We are entering into the era of cognitive computing which has the potential to change the way people interact with technology.